With World Mental Health Day approaching on 10 October, is awareness changing how we think about mental health and people affected by it? Commencing in 1992, this will be the 16th year the day is globally observed, and yet mental health seems to be an ever-increasing problem, and one that is affecting New Zealanders in all aspects of their lives. According to the Mental Health Foundation, 1 in 5 Kiwis will experience mental illness this year. From a workplace perspective, in all likelihood you or someone you work with is affected. Sadly, research indicates that our levels of stress in the workplace are increasing; and data released by the Office of the Chief Coroner states that 668 people died by suspected suicide from July 2017-June 2018 meaning that New Zealand’s provisional suicide rate is now the highest it has been this century. Raising awareness is important, but it’s not enough. Employers need to act, all year round, and find ways to breakdown stigmas and promote mental wellbeing in the workplace. It doesn’t need to be a difficult conversation, had only once a year. Normalising conversations about wellbeing in the workplace can lead to positive change. Work and being productive are good for mental health, and 80% of employees treated for mental illness report improved levels of work efficacy and satisfaction. Join us at Dive In Auckland, where we’ll be looking at Mental Health, specifically within the insurance sector, and developing some actions attendees can take back to their workplaces. Attendance is free, and participants will receive 2 CPD points. Dive In Auckland’s inaugural event is proudly brought to you by NZbrokers, Wotton+Kearney and Ando Insurance. The afternoon session, tackling the stigma surrounding mental health, will see local and international experts unpack this complex subject in an interactive panel discussion, followed by round-table workshops examining important questions and stories and developing actionable take-aways for the workplace. 2 structured CPD points will be awarded for attendance and participation. 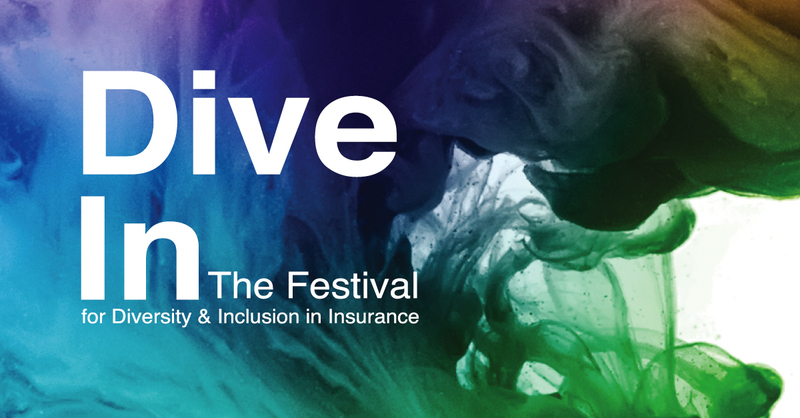 Dive In is bringing the global insurance industry together to champion diversity and inclusion in 27 countries this year between 25-27 September. People are drawn to and thrive in inclusive workplaces. Inclusion creates better productivity and team performance, lays the groundwork for inspiring innovation, and reflects the values of our global customer base. Put simply, diverse and inclusive workplaces are becoming a business fundamental, not a discretionary addition. The 2018 annual theme is ‘Time for Inclusion’. Last year, CEOs from across the industry pointed out that time is the biggest barrier to achieving inclusive cultures in their organisations. I am proud that NZbrokers, are involved in this year’s Dive In festival and encourage everyone to make the most of these free events taking place in your city. Follow Dive In Festival on LinkedIn, Twitter and Instagram to get involved.